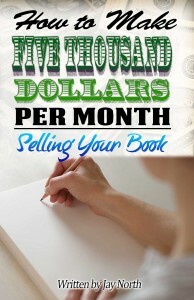 So, you took the time to write your book, now comes marketing (sales) of your masterpiece. While there are quite literally 1000’s of routes to your targeted audience, picking one can be tricky and expensive… or cheap if you put on your thinking cap. What I am going to share with you is Real Life provable results that will sell your book with a little effort on your part. You can in fact earn $5000 per month or more working two hours per day—I do. So can you! I only work 1.5 or 2.5 hours per day. If you happen to be young and aggressive and double or triple the hours I work, just imagine what your sales could be. My writing time is important to me and I work hours I am comfortable with. I do know personally a few writers that work the method of sales I am about share with you that work six hours per day and their sales are outstanding. A few of them found a way to hit the market in a big way and are doing quite well financially. Their names and sales numbers must remain private as they did not want to be interviewed for this short discourse. But, truth is truth! I have found a way to become financially secure by the sale of my own books and it is not at all hard to do. What you will find in this booklet is a way to get your book in front of hundreds of thousands of readers—with little effort. It is exactly what I do and it pays off daily. I really do get that there are hundreds of free articles working to convince authors the worldwide web is the only way to go in book sales. If it’s so great ask them to prove it! I only know of two millionaires that got lucky on the net, the rest is spin. I have queried hundreds of authors pushing their books on the net and not one of them is actually selling their books by the means they tell others to do so.If it works so well why aren’t they selling? The fact is, 90% of the businesses that rely on the web for sales fail. Another fact is I make money every day selling my books – and so will you.This is not mass market advertising that can cost a fortune, it is a simple process. Enjoy it and put it to work for your book—you will be happy you did.